Description: 10-panel concertina 115 x 95 in acetate pocket with six images of the tools and implements used by Brancusi and text by Simon Cutts. No.2 in the Folded Space series. 200 copies in digital print. 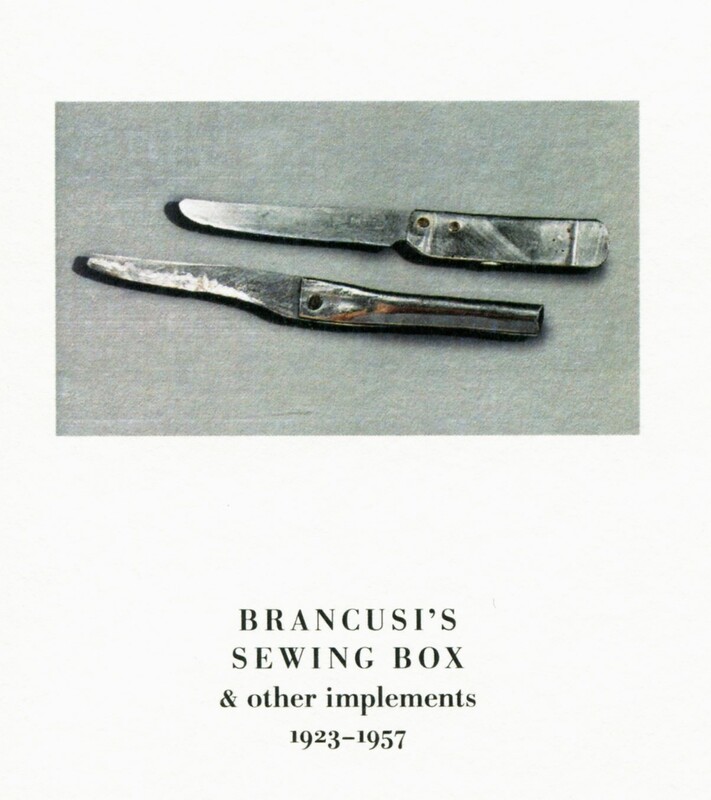 The Sewing Box itself remained unsold after failing to reach its reserve price of 1000 euro. Given the nature of all his work and his axiomatic All Sculpture is Furniture, it's remarkable that his domestic tools and objects should be of so little exchange value.